to interface with encoders and keep track of position. 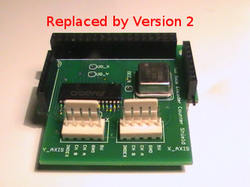 An Arduino library and sample sketch are provided. 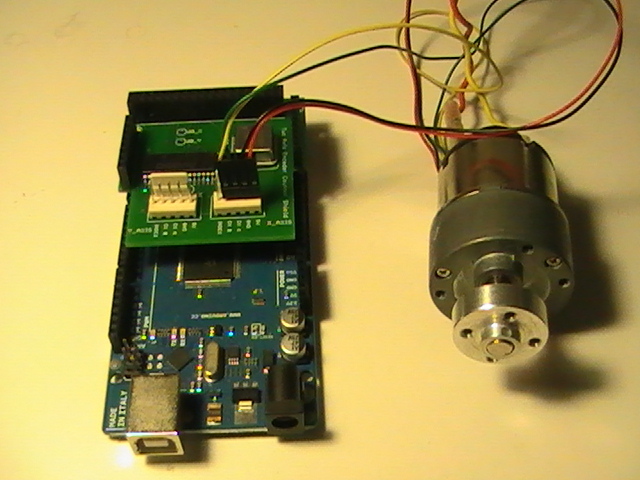 Trying to make a high speed and/or precision controlled motor control solution with an Arduino Mega? 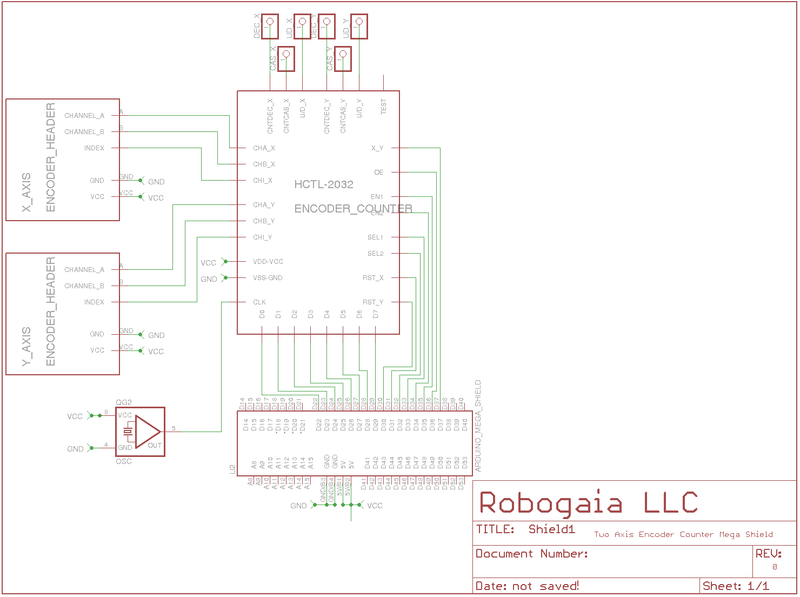 Then this is the Arduino Mega Shield for you. The Two Axis Encoder Counter Mega Shield offloads the counting and book keeping of two encoders from your Arduino Mega using the Avago HCTL-2032 Dual-Axis 32 bit Quadrature Encoder counter. This is a must for high precision motor control. You don't want your Arduino Mega wasting its precious time counting your encoders ticks when it could be doing much more productive tasks. Let this Mega Shield keep the book keeping of how far your wheel or motor has rotated (and it what direction)! Your Arduino Mega can ask the shield for the counts when it needs that information. Available for download below is a simple to use Arduino Library to take advantage of this Mega Shield and a test sketch that shows how to use the library. 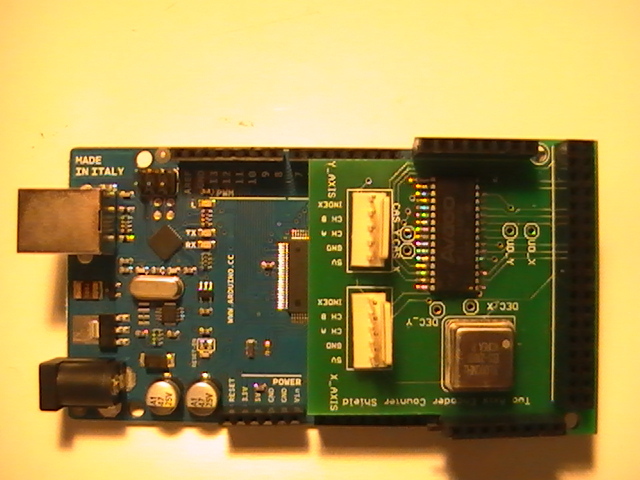 This Mega Shield works with Arduino Megas only. The version 1.3 of the libraries includes "Arduino.h " libraries so it can be used with Arduino 1.0 IDE and above.